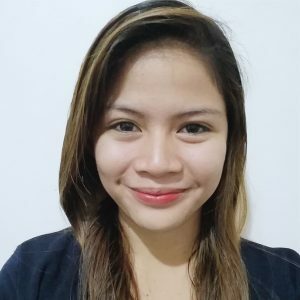 I am a graduate of Bachelor’s of Science in Accountancy and currently in need of a job so that I can provide for my review for the Accountancy Board Exam. I think being a Virtual Assistant can also help me practice being efficient and accurate in data management. I am just a simple girl living in a small town, blessed with a complete and happy family. I grew up with my dad as the only one working to support our family and I must say, life has not been easy. We learned to value things and prioritise our needs over wants. With this experience, I have learned to appreciate the word “contentment”. Despite the difficulties in life and although they couldn’t give us the material things that every child wants, my mum and dad have given us much love, care and attention. Being the only daughter in the family, I was given more than enough of it. Growing up with this, I have established my “self worth and confidence”. With all these blessings, I was inspired and motivated to do well in everything I do. I excelled in many areas especially in studies which I believe, made my parents and the people close to me proud. I have developed the attitude of “competitiveness” while at the same time, maintaining the essence of “humility”. Life is so beautiful but at the same time, very unpredictable. When I was in college, one situation tested us, my dad was diagnosed with cancer and spent almost 2 years in the hospital far from our hometown. I was left with the responsibility to support myself and my younger brother in our day to day living and even in our studies. This unfortunate and sad situation forced me to become “independent” and face the “responsibility” left to me. Thankfully, we survived. My brother and I were able to graduate and get a college degree. Life has really taught me a lot. There will always be ups and downs but one thing’s for sure, everything is just temporary. Blessed enough – with all these experiences, I became who I am right now… ready to face all the challenges that this life could throw at me. I know I can do anything because I have learned to rely not just on myself, but also to the One Above. 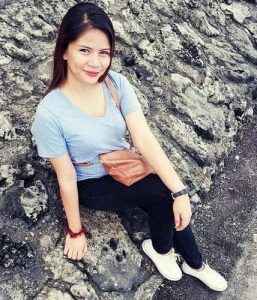 For a copy of Jozette’s resume please click here.